You love your engagement ring so much that you can’t stop looking at it, let alone imagine taking it off your finger or letting something happen to it! But just because you are careful with your ring doesn’t mean everyone else will be — you can’t control everything. That’s why when many brides-to-be get their hands on their engagement ring, they also get their hands on engagement ring insurance! Despite your best efforts of looking after your engagement ring, life can throw you a curveball – it might get stolen, be misplaced, or get damaged. No matter the cost of your engagement ring, you should always insure it so that you will be able to replace or repair it should something happen. It’s not just your ring that you’re trying to protect, but also the to get engagement ring insurance:money that went into purchasing it. Choose homeowners’ or renters’ insurance. This is where you will purchase an extension to your current policy that will cover your gorgeous ring. Get an insurance policy from an independent jewelry insurer.In fact, ask your jeweller about this, as they’re often linked to insurance companies. 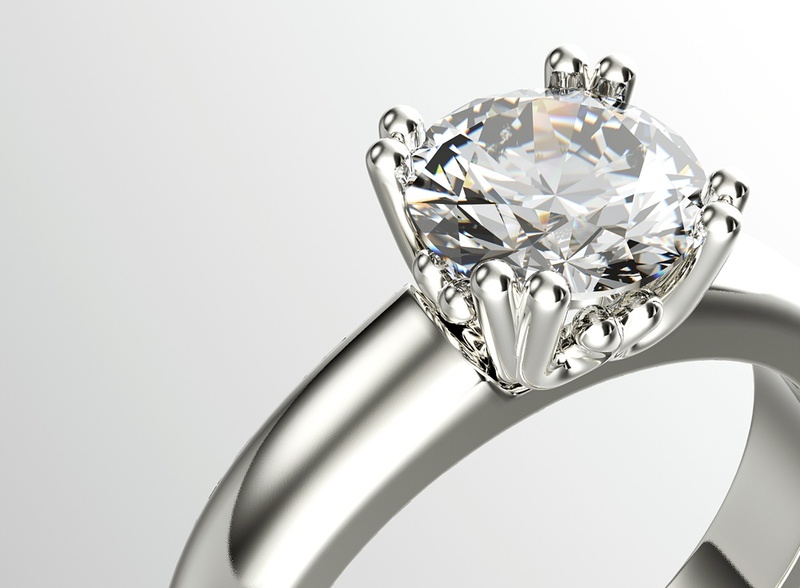 It might feel tricky to know who should pay the insurance premiums to protect your ring. Do you pay for it because you’re wearing it, or does your partner who purchased the ring pay for it? It depends on a number of factors. Your partner may have already purchased insurance when they first purchased the ring. If not, consider your living arrangements. If you are living separately, then your ring should be covered by you because you’re wearing the ring and storing it in your home – also, you might use your homeowners’ insurance to cover the ring and where the ring lives will affect your premiums. There are quite a lot of factors to take into account regarding how much you can expect to pay, such as where you live and the amount of crime in the region, as well as the ring’s value. Although every policy will vary a bit, you can expect to pay around $1-$2 for every $100 that your ring is worth. So, that means if your ring is worth $4,000, you would pay approximately $80 per year. All this talk about ring value leads us to the biggie of getting an appraisal. This is basically how the ring gets analyzed (such as according to its cut, weight, and clarity) to determine how much it is worth. 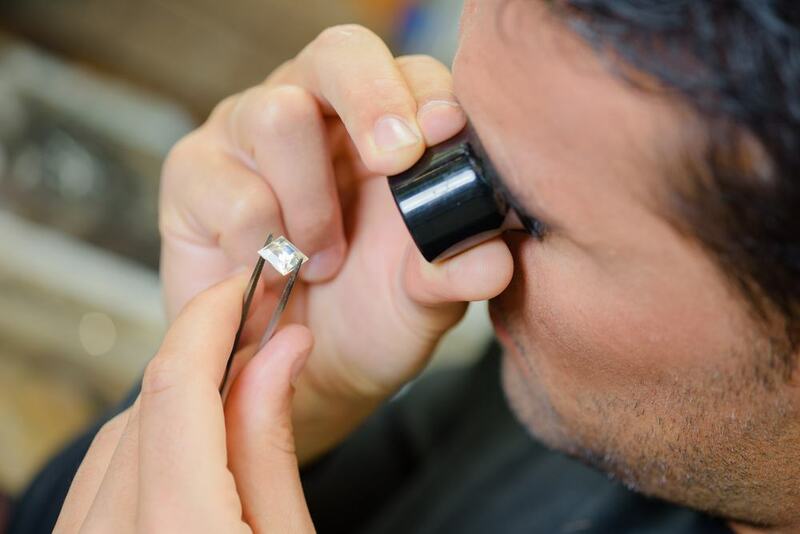 If you have a ring with a stone that is half a carat or more, you probably have a diamond certificate that was issued to you by your jeweller. This is important as it will help to determine the ring’s value so that if something happens to it you will be able to receive the same value back (either in cash or a replacement ring). You need to find a reputable jewelry appraiser. Check out the American Gem Society which will direct you to an appraiser in your region. Remember to reappraise your ring every few years as it is likely to rise in value! Are there limits to how much the insurance company will pay (sometimes limits are placed on certain items, such as jewelry, that are stolen so this is a must to ask)? What happens if your ring gets damaged and needs repairs. Will you be able to choose where you repair your ring or will this be determined by your policy? Are you insured for a replacement or cash payout if your ring is stolen or lost? If you choose to replace the lost/stolen ring, where can you buy one? If you’ve chosen a policy and discussed it at length with the insurance policy company, remember that you still need to read the fine print! This will inform you of everything you need to know regarding what damage will be covered. 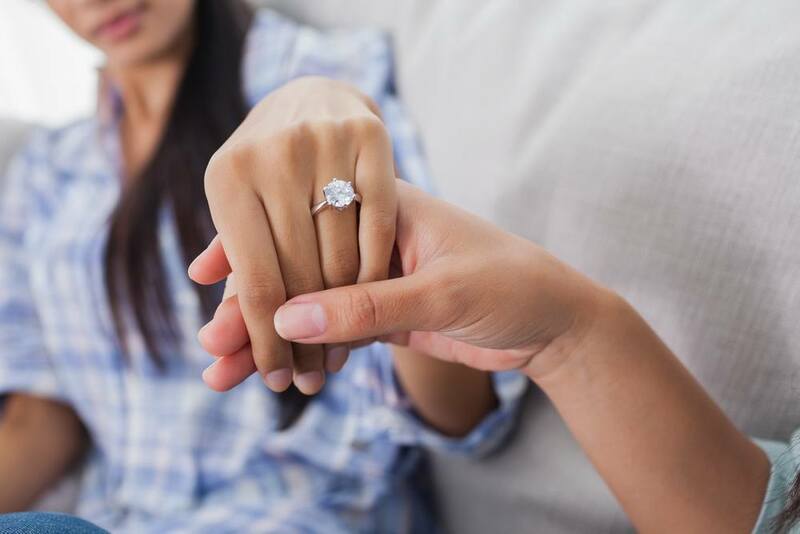 Getting engagement ring insurance might sound like a boring task that you don’t want to think about in the excitement of getting married, but it’s a must. By following the above insurance tips, you won’t lose money or be unable to replace your ring if tragedy strikes.